PolicyMic is getting a $10 million infusion. PolicyMic, one member of a pack of BuzzFeed-like online startups, is taking on $10 million in funding from a number of investors, including Jim Clark, the co-founder of Netscape. The cash infusion is part of a formidable wave of venture capital funding for new media companies. PolicyMic said it decided to raise the $10 million, on top of a previous $5 million, to "accelerate growth." The 3-year-old website caters to young people with catchy headlines, graphics and a mix of original articles and aggregation, along the lines of larger sites like BuzzFeed and Upworthy. "By building a brand for 20-somethings who take pride in staying informed, we want to become the most important news and media company for our generation," said Christopher Altchek, the co-founder and chief executive. That's quite a statement, considering the fact that PolicyMic has existed mostly under-the-radar so far. But the company has been adding staff and honing its pitch as a site for and by millennials. According to Quantcast, PolicyMic has just about tripled its monthly unique visitor totals in the past year, to 11.4 million in the United States. Upworthy has about 30 million. PolicyMic's own data puts it above 15 million unique visitors per month. It raised $3 million of its total $5 million in existing funding just last October; with Clark coming aboard now, existing investors like Lightspeed Venture Partners and Lerer Ventures are also contributing more. Other investors include Advancit, the firm co-founded by Shari Redstone, and The John S. and James L. Knight Foundation. Clark, also known for founding Silicon Graphics and Healtheon, said in a statement that Altchek and fellow co-founder Jake Horowitz "remind me of my younger self and I'm excited to partner with them on this challenge." Related: Is AT&T prepareing a new challenger to Netflix and Hulu? Representatives for PolicyMic declined to comment on what the company's value considering the new funding. The company is not profitable; like others of its ilk, Altchek said PolicyMic is focused on "growing our audience, developing technology, and improving our products." An array of other media startups have announced sizable investments in recent months, from Mashable ($13.3 million in January) to Business Insider ($12 million in March, bringing it to about $30 million to date). 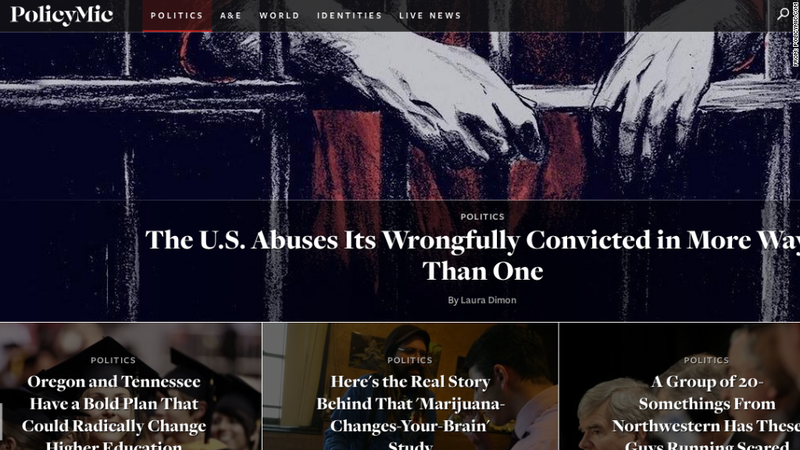 "Our general view is that news is a growth business," Eric Hippeau, managing director at Lerer Ventures, one of the backers of PolicyMic, told Quartz in March. Many more people "are accessing and interested in and engaging with news today than ever before, thanks to technology. So we're bullish on content and we're bullish on news." "Clearly, we have to pick the right companies," Hippeau added. "Not everybody's going to be a winner."